Joel Feder March 15, 2019 Comment Now! 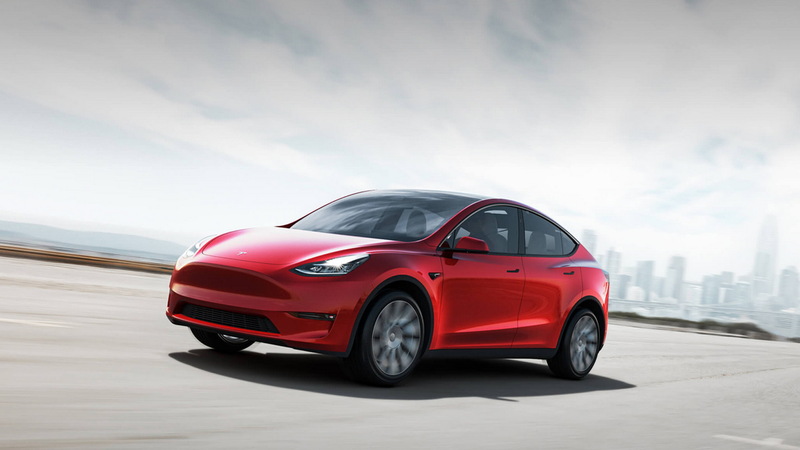 Tesla intends to keep the juice flowing with the addition of the Model Y, a small crossover SUV releated to the Model 3 and capable of fitting three rows of seats. 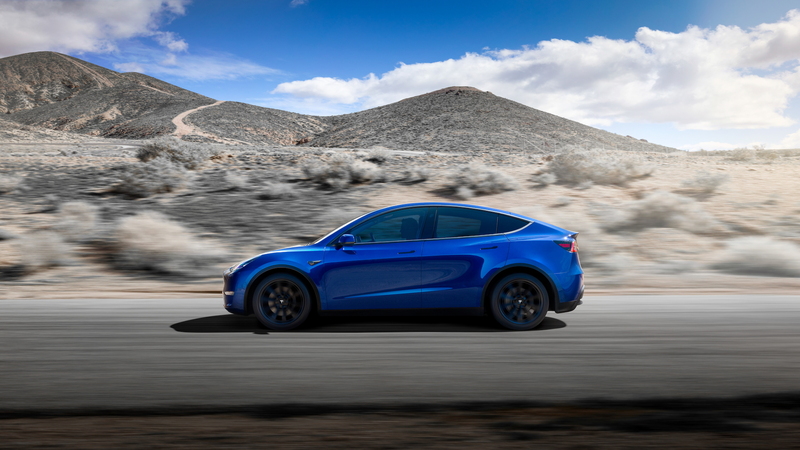 The electric automaker's CEO, Elon Musk, took to the stage Thursday in Los Angeles to reveal the Model Y, first deliveries of which are due in the fall of 2020. The lineup kicks off with the Model Y Standard Range, which is priced from a very reasonable $41,200 though won't be available for delivery until the spring of 2021. It promises 230 miles of range, a 120 mph top speed, and a 0-60 mph time of 5.9 seconds. As we saw with the Model 3, Tesla will delivery pricier models first. 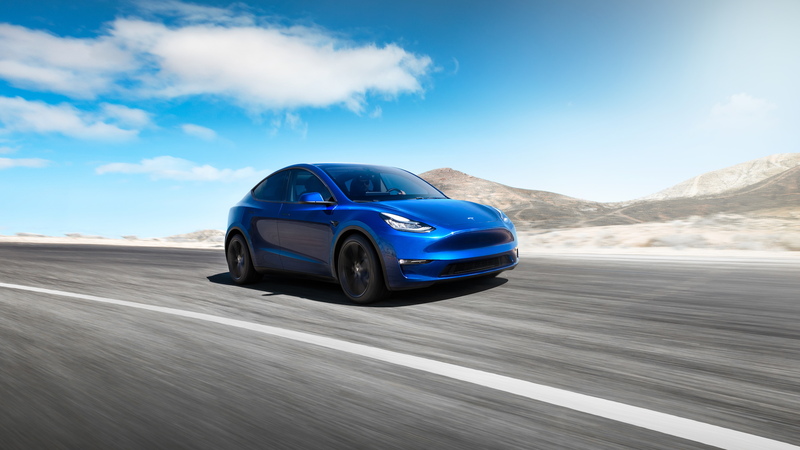 These include a Model Y Long Range, which is priced from $49,200 and promises 300 miles of range, a 130 mph top speed, and a 0-60 mph time of 5.5 seconds. Above this is a Model Y Dual Motor AWD model, which as the name suggests comes with all-wheel drive. It is priced from $52,100, should take 4.8 seconds to sprint to 60 mph from a standstill, and top out at 135 mph. 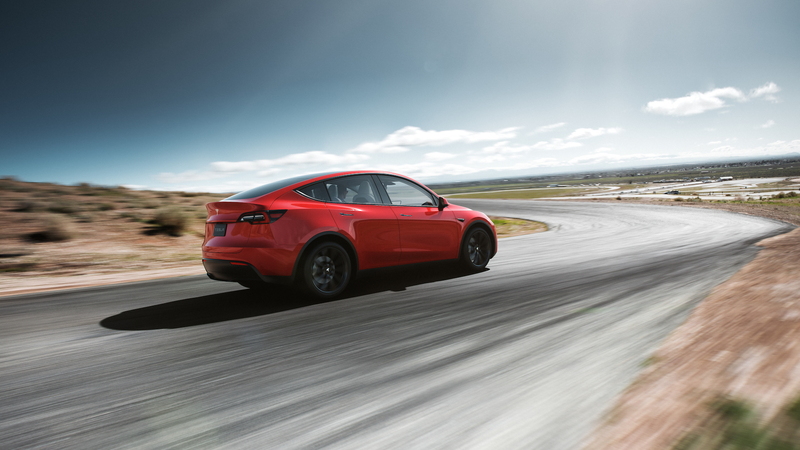 And at the top of the range is the Model Y Performance, which will improve the 0-60 sprint to just 3.5 seconds and increase top speed to 150 mph. The promised range drops slightly to 280 miles, though, and you'll need to pay at least $61,200 for this model. All prices mentioned include destination. Looking like a hatchback version of the Model 3 sedan with a lift kit, the Model Y appears to share most of its parts with its sedan sibling. From the headlights to the doors, the design is Model 3 with humpback rear end. All Model Ys feature a panoramic glass roof. Notably the the Model X's Falcon Doors are absent. 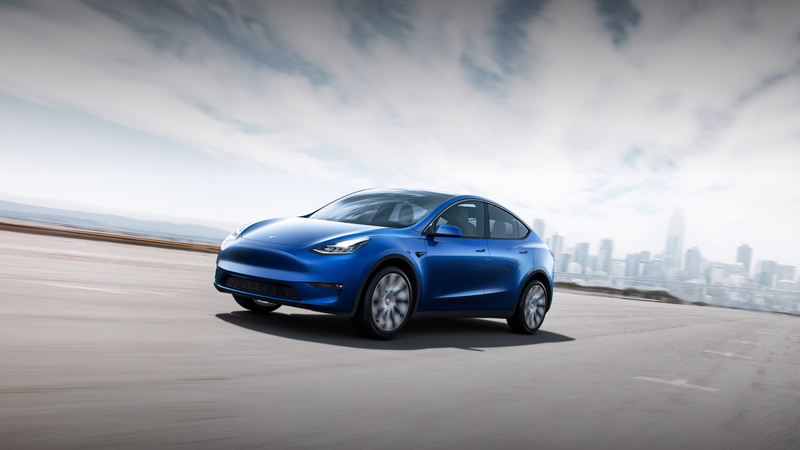 Inside, the Model Y shares the Model 3's simplistic interior with a horizontal shelf-like dashboard and 15-inch touchscreen that houses nearly all vehicle controls. This is minimalism at its best. A 2-row, 5-seat layout comes standard, but a 3-row, 7-seat interior is available as a $3,000 option and 2021 delivery. Don't expect to fit anyone bigger than a very small child in the back row, though. Tesla's Autopilot driver assist system is an option for $3,000, and Tesla continues to advertise future full self-driving capability for $5,000. Musk hasn't said where Tesla will build the Model Y, though we've heard the site will be the battery plant in Nevada. He did say, however, that orders are now being taken with a $2,500 deposit.